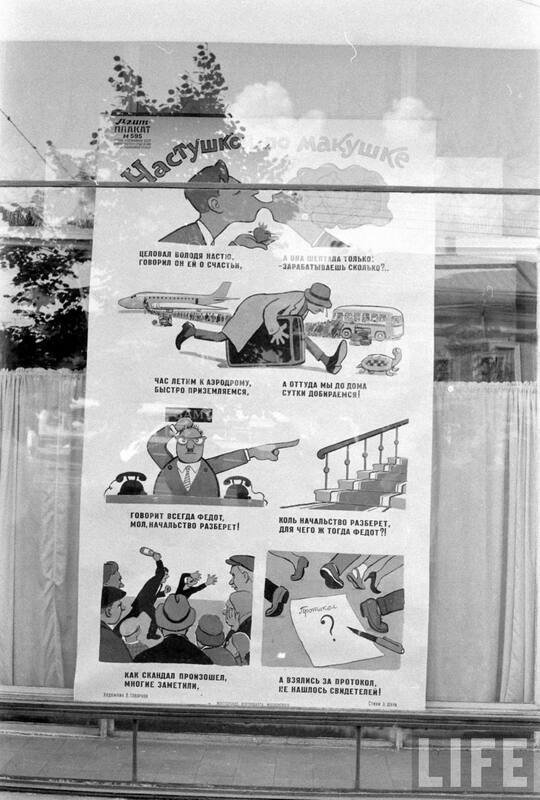 All this Sarah Palin satire business reminded me of a special place satire held in the USSR. Even during the times when straight talk would get a person arrested, the same idea framed in satirical terms was perfectly acceptable, up to a point of course. 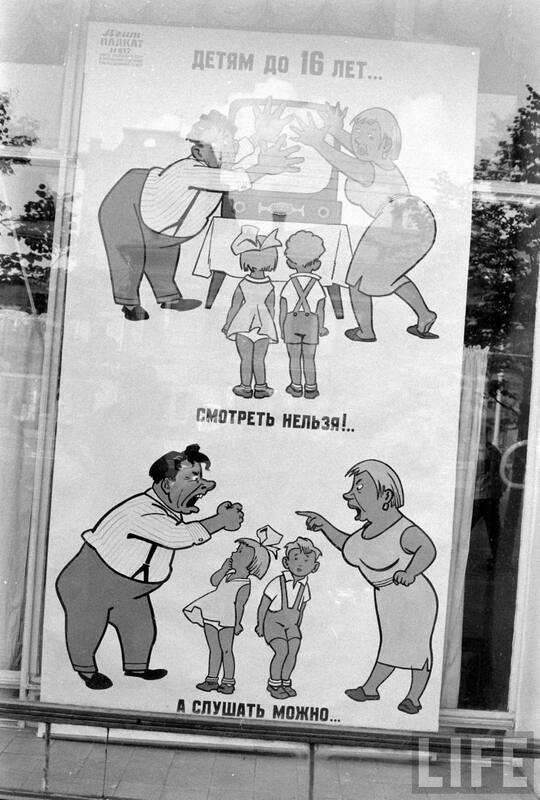 When I was growing up® there were at least two state-published satirical magazines – Krokodil in Russian and Perets’ in Ukrainian where in between the caricatures bashing Americans Imperialists and Israeli Zionists, there was plenty of space devoted to satirizing the bureaucrats, alcoholics and other violators of work discipline. From the state-sponsored satire all the way down to colorful walls of shame at the workplace, various humorists were allowed to speak their mind as long as they didn’t direct their criticisms at the wrong people and didn’t say the wrong things. The most popular comedians mastered the special language understood only by the Soviet citizens who were trained to “read between the lines”. Fairly innocent comic routines had people rolling on the floor without having to say anything deemed offensive by the government; an uninitiated person would be dumbfounded but everyone in the country knew exactly what was being implied. 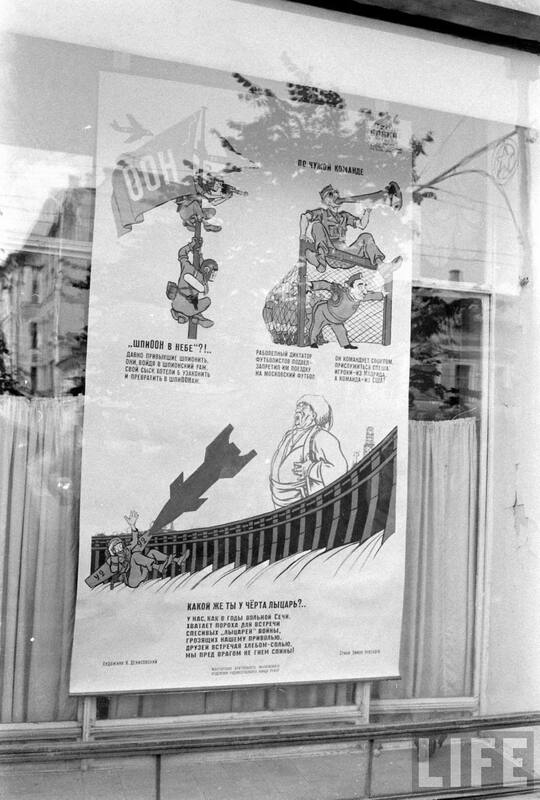 Often satirical materials were displayed in the streets for everyone to see and condemn whoever was being condemned at the time. Few photos as a continuation of my recent Window Shopping post. “Flying for an hour, landing is fast but it takes all day to get home from the airport” – criticizes slow airport transportation. “Fedot is always sending people to his boss to get the answers, but if the boss has all the answers, why do we need Fedot” – criticizes indecisive management. “When the fight was going on there was a crowd watching, but when it came to filling out a report, there were no witnesses” – no snitching? Bottom: …but they are allowed to listen to adults fighting! “There is a line waiting outside some bureaucrat’s door, while he went home to eat his lunch” – criticizes bad customer server and lack of work discipline. “Plan of stocking the warehouse was well-prepared and discussed, instead someone should’ve discussed the shoddy condition of the warehouse itself” – criticizes wrong priorities and failing to see the “big picture”. “Lazy useless employee didn’t do much all year and got so tired of doing nothing that he went on a resort vacation” – no explanation is needed. “Lecturer talked about culture with self-importance and at length, but his unshaven unkempt looks were in contrast to the subject” – hippie looks were not encouraged. Lastly, an international one. There were no limits on international satire as long as it wasn’t about the friendly socialist countries. 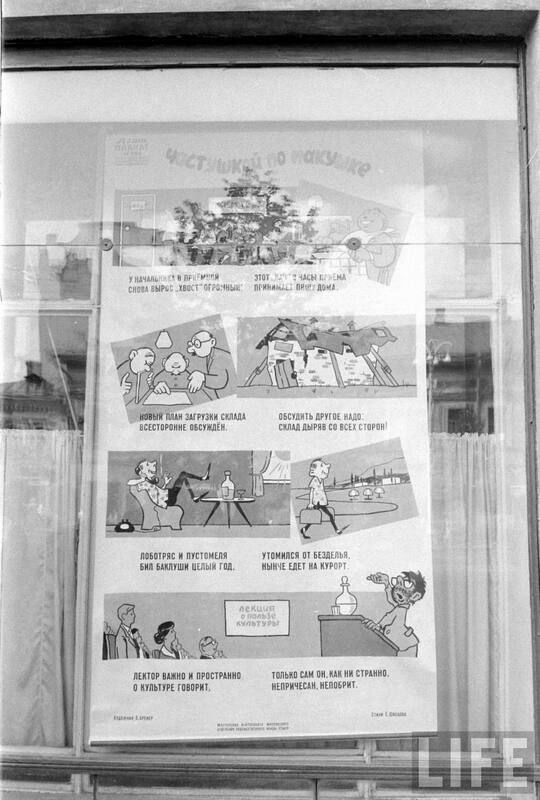 Top left pokes some wordplay fun at the UN (ООН); top right bashes the Spanish dictator Franco for boycotting soccer quarter-finals in Moscow obviously ordered by his superiors in the USA; the bottom one is about the U-2 incident. As you can see, Sarah Palin is right: if you say something unfavorable you should resign, be fired, hauled away, sent to be “rehabilitated” at the labor camps, your family should be harassed and your name dragged through the mud; but satire is a different story because it’s so satirical, right?